ExpertTox News presents summaries of actual TCAS cases. 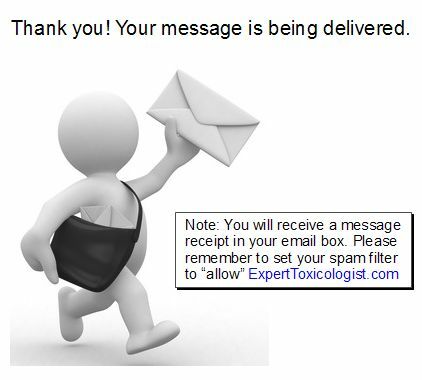 Published twice each quarter, ExpertTox News is available free of charge to qualified professionals in medical, legal, educational and governmental fields, as well as individuals with special interests in toxicology. Please provide all requested information so that we may review your credentials and add you to our distribution list. Please review and ensure you have provided all requested information. Click on SEND to transmit your message.